Replace your factory 2015-2019 Mustang GT 5.0 emblems with this Chrome Emblem Package. These are an Exact match to the factory OEM emblems and install in the factory locating holes. What's included ? 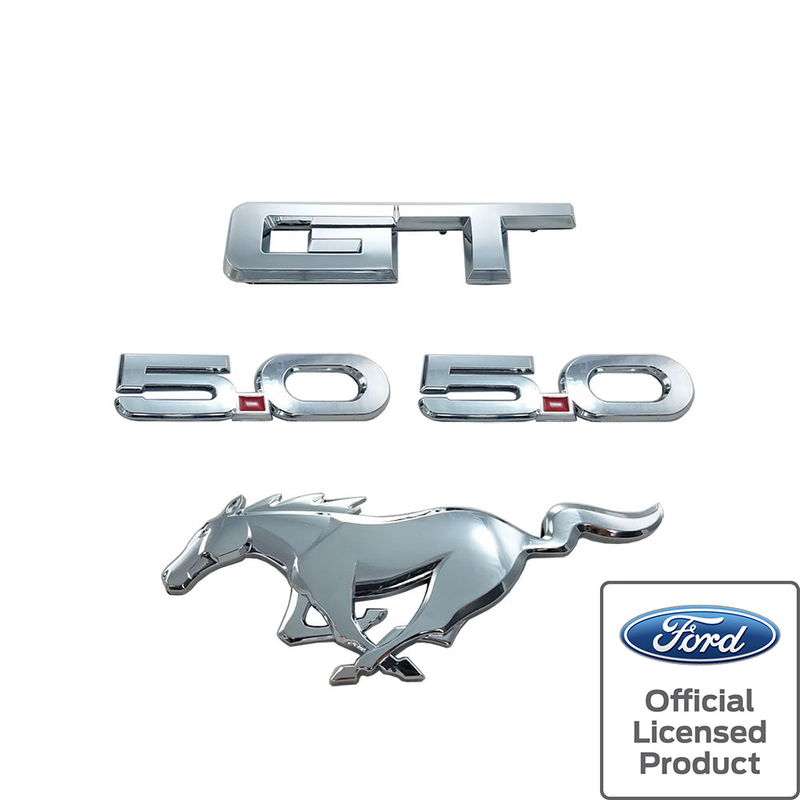 1pc Rear GT Emblem, 2pcs side 5.0L Emblems and 1pc Front Pony Emblem to give your 2015 Mustang GT a brand new look. 2015 2016 2017 2018 2019 Ford Mustang GT 5.0 Coyote S550 Shelby Roush Saleen & Steeda Vehicles. No one else can stack up to the bold clean styling of our aftermarket Billet dress ups, Street Strip & Racing Suspension & Performance Parts for your late model American Muscle Car!